AffordRx.com assists patients ─ specifically those without comprehensive prescription drug coverage ─ in saving money at the pharmacy on disease-fighting medications. The Zika virus is just one of many insect-borne diseases contracted by humans. The CDC is working hard to protect pregnant mothers and the public from contracting the disease; but there is still no cure or vaccine. AffordRx.com assists patients ─ specifically those without comprehensive prescription drug coverage ─ in saving money at the pharmacy on disease-fighting medications. An insect-borne illness is any virus or bacteria transmitted to humans through direct contact with insects. A large portion of these diseases are transmitted by mosquitoes, due to the contact with the human blood stream which occurs during a mosquito bite. Some illnesses, like Malaria, have been around for thousands of years. Others, like the Zika virus, are much newer but no less devastating. Although the spread of Malaria is largely controlled in the United States, due to aggressive spraying for mosquitoes, there are still sporadic outbreaks. There are now treatments to prevent the contraction of malaria (for those traveling to tropical regions), as well as drugs designed to fight the disease once it has been contracted. Anyone may print a free Chloroquine discount card, or a Hydroxychloroquine coupon to use with their prescription. West Nile is transmitted to patients via mosquito bites. Many patients have no symptoms after becoming infected, and only a blood test can accurately diagnose exposure to West Nile. For those who do develop symptoms, supportive medical care and pain management are the usual treatments. AffordRx.com provides free Ibuprofen discount cards to use with your prescription. The Zika virus is transmitted by mosquito, and its origins have been linked to South America. Many of those infected are unaware of it. Zika can have devastating effects on pregnant women, and has even been linked to birth defects in newborn children (specifically microcephaly ─ abnormal smallness of head which can lead to developmental disorders). Professionals are working hard on a vaccine, but there is still no cure for this disease. Treatment focuses on relieving symptoms of the disease. You can save up to 75% on generic prescription costs, just by using a free Diphenhydramine discount card. Over one million people die from mosquito-borne illnesses every year worldwide, and hundreds of millions more are infected. Although the largest percentage of these infections occur outside of the United States, modern travel makes the spread of these illnesses a world-wide concern. Education and prevention are still the best ways to remain safe. 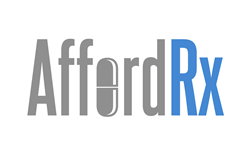 AffordRx.com was started to provide discounts on prescription drugs to those who need it most. Our goal is to provide you with the largest savings possible, when compared to other cards. We invite you to compare the savings our card will bring to that of other leading providers.